Provides some useful data flow diagram resources such as how to data flow diagram, data flow diagram examples and data flow diagram software. A data flow diagram (DFD) is a significant modeling technique for analyzing and constructing information processes. DFD literally means an illustration that explains the course or movement of information in a process. DFD illustrates this flow of information in a process based on the inputs and outputs. A DFD can be referred to as a Process Model. Additionally, a DFD can be utilized to visualize data processing or a structured design. A DFD illustrates technical or business processes with the help of the external data store, the data flowing from a process to another, and the results. A designer usually draws a context-level DFD showing the relationship between the entities inside and outside of a system as one single step. This basic DFD can be then disintegrated to a lower level diagram demonstrating smaller steps exhibiting details of the system that is being modeled. Numerous levels may be required to explain a complicated system. Data flow diagram templates, symbols and samples are also provided with this DFD tools. These ready-to-use DFD templates and symbols will enable rapid designing of important complicated DFDs and process models. 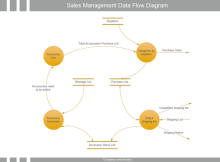 Use the data flow diagram templates to describe data processes. You can use this diagram to assist in data analysis or show the flow of information for a process. The Data Flow Diagram Shapes templatse includes shapes for entities, states and data processes. In general, you'll use these templates to diagram the actions within a data flow, rather than the static state of a database. Review the Data flow diagram symbols. The following example demonstrates how to draw a data flow diagram. Before it was eventually replaced, a copy machine suffered frequent paper jams and became a notorious troublemaker. Often, a problem could be cleared by simply opening and closing the access panel. Someone observed the situation and flowcharted the troubleshooting procedure used by most people. See more Data Flow Diagram Samples. The DFD is an excellent communication tool for analysts to model processes and functional requirements. One of the primary tools of the structured analysis efforts in 1970s was developed and enhanced by the likes of Yourdon, McMenamin, Palmer, Gane and Sarson. It is still considered one of the best modeling techniques for eliciting and representing the processing requirements of a system. Used effectively, it is a useful and easy to understand modeling tool. It has broad application and usability across most software development projects. It can be easily integrated with data modeling, workflow modeling tools, and textual specs. Together with these, it provides analysts and developers with solid models and specs. Alone, however, it has limited usability. It is simple and easy to understand for users and can be easily extended and refined with further specification into a physical version for the design and development teams. 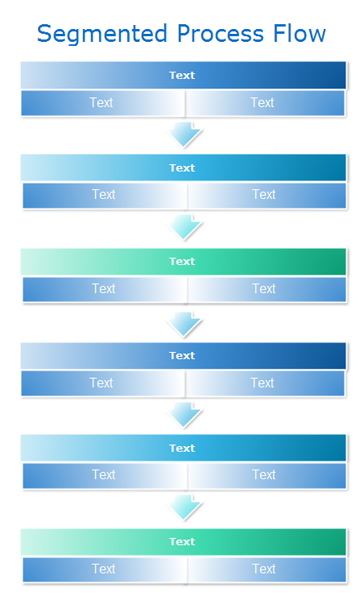 The different versions are Context Diagrams (Level 0), Partitioned Diagrams (single process only -- one level), Functionally decomposed, leveled sets of Data Flow Diagrams. Therefore, the principle for creating a DFD is that one system may be disintegrated into subsystems, which in turn can be disintegrated into subsystems at a much lower level, and so forth. Every subsystem in a DFD represents a process. In this process or activity the input data is processed. Processes cannot be decomposed after reaching a certain lower level. Each process in a DFD characterizes an entire system. In a DFD system, data is introduced into the system from the external environment. Once entered the data flows between processes, then the processed data is produced as an output or a result. Data flow diagrams can be used to provide a clear representation of any business function. The technique starts with an overall picture of the business and continues by analyzing each of the functional area of interest. This analysis can be carried out to precise the level of detail required. The technique exploits a method called top-down expansion to conduct the analysis in a targeted way. The result is a series of diagrams that represent the business activities in a way that is clear and easy to communicate. A business model comprises one or more data flow diagrams (also known as business process diagrams). Initially a context diagram is drawn, which is a simple representation of the entire system under investigation. This is followed by a level 1 diagram which provides an overview of the major functional areas of the business. Don't worry about the symbols at this stage since these will be explained shortly. Using the context diagram together with additional information from the area of interest, the level 1 diagram can then be drawn. The level 1 diagram identifies the major business processes at a high level and any of these processes can then be analyzed further - giving rise to a corresponding level 2 business process diagram. This process of more detailed analysis can then continue - through level 3, 4 and so on. However, most investigations will stop at level 2 and it is very unusual to go beyond a level 3 diagram. Identifying the existing business processes by using a technique like data flow diagrams is an essential precursor to business process re-engineering, migration to new technology, or refinement of an existing business process. However, the level of details required will depend on the type of change being considered. The process model is typically used in structured analysis and design methods. Also called a data flow diagram (DFD), it shows the flow of information through a system. Each process transforms inputs into outputs. 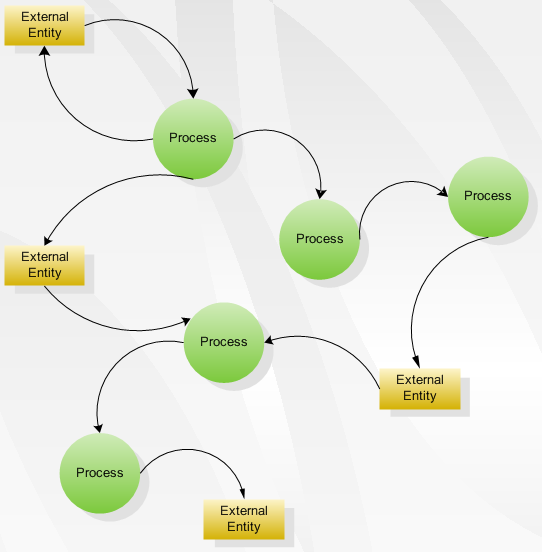 The model generally starts with a context diagram showing the system as a single process flowchart connected to external entities outside of the system boundary. This process explodes to a lower level DFD that divides the system into smaller parts and balances the flow of information between parent and child diagrams. Many diagram levels may be needed to express a complex system. Primitive processes, those that don't explode to a child diagram, are usually described in a connected textual specification.